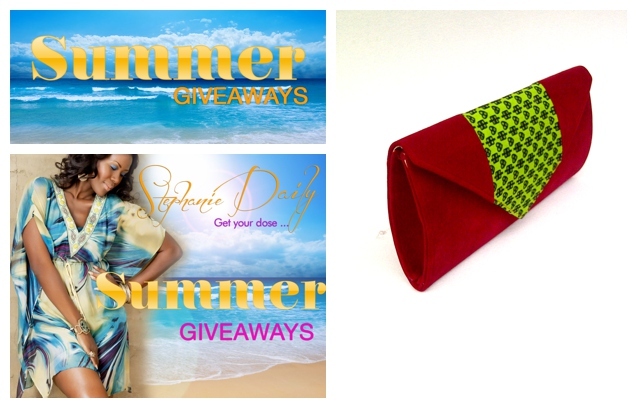 Here’s the final summer giveaway of maknisy bags. A lovely red and lime green print fabric purse. Very cute and classy. All you need to do is spot the 5 differences in the picture below. Good luck. the little sign on the top right. the badge of your top. the button on the guy top . the badge on your top. 2 A C CIRCLED IN THE UPPER RIGHT HAND SIDE OF THE SECOND PICTURE WHICH IS NOT IN THE FIRST PICTURE. 3 THE FIRST PICTURE HAS A BAG WITH A WHICH CIRCLE IN FORM OF A RING LIKE BIG CIRCLE HANDLE AND THE SECOND PICTURE DOESN’T . 4 THE FIRST PICTURE OF YOU DIDN’T HAVE A CEREMONY BARGE BUT THE SECOND DO HAVE A GOLDEN BARGE ON THE RIGHT SHOULDER SIDE OF YOUR CLOTHE ACCORDING TO THE PICTURE BUT YOUR LEFT SIDE ACCORDING TO YOUR SITING POSITION. 5 THE MAN WITH THE BLACK SHIRT HAS A SILVER LIKE BUTTON ON THE NECK COLLAR OF THE SHIRT IN THE FIRST PICTURE BUT ON THE SECOND HE HAS IT ON THE NECK COLLAR AND ONE BELOW THE CHEST AREA. D black earring in d pic on d right, d purse handle on d table, ur husband’s button, d badge on ur dress,d tiny earring in d pic on d left. 5) I can see Mr Linus’s Right hand a bit in the left and on the Right, it’s just the left! @StephanieLinus 1, No yellowish colour on left breast side of d lady in Pix A, but there is in pix B 2, One button in d guy’s shirt in Pix A but there are 2 in Pix B. 3, No ear ring in left ear of d lady in Pix A, but there is black ear ring in Pix B 4, There is a hand bag in front of d guy Pix A but not in Pix B 5, There is no © at d top right of Pix A and there is at Pix B. There is a brown spot on her blouse in one picture while the. bLouse is plain in the second picture.. She has a small gold ear ring on in the first picture and a blAck ear ring on the same side of her in the 2nd picture… There is just one button on his shirt in the first picture and tWo buttons on his shirt in the 2nd picture..the bag on the table in the first picture has a glass like handle and there is Ϟö handle on the bag in the second picture….there is (c) on the 2nd picture while the first picture has no (c). Made a mistake @ 1st, No 1. D black dotted earring in d pic on d right. No 2. D button below on d guys’s polo. No 3. D purse handle on d table in d left pic. No 4. D badge on stef’s dress in d pic on d right. No 5. D glittering white purse behind stef on d right. 1: THE EARRING: in picture 1 ur wearing a white/cream studded earring while in picture 2 ur wearing a blue earring. 2: BROWN BOW: there is a brown bow on the the top ur wearing in picture 2 which is absent in picture 1. 4:BUTTONS: in picture 1 there is one white top button on ur hubby’s shirt and in picture 2, there are two white top buttons on his shirt. 5: the (c) sign: there is a small (c) at the top of second picture which is absent in the first. 5. The small flash that looks like a. star at your back. black ear ring, while in the picture left is like a stud .2) there is badge on the dress in picture right while there is none on the picture left. 3) in the picture left there is bag hand showing while in the picture right there is none. Steph, u ve by the pic in ur right, a gold colour tag or pin up on, a black earring, nd D guy near u ve a small white spot on d left part of his shirt, Then ur left pic, U ve a gold colour earings on, infront of ur guy near the bottle water is a transparent thing dat looks like ball or table make overs, ur two tops are just plain……… Hope I’ll be lucky here, gudmorn. Email:olamide.osadogan@gmail.com,08101785252,resident Ȋ̝̊̅n̶̲̥̅̊ lagos.Thanks sweet,hope to hear from Ɣ☺ΰ . 5. behind you on the right is a sparkle which is absent on the left. 6. another difference i can see is, the picture on the right has a sign like (c) at the top and that is absent on the left picture. I pray and hope luck smiles on me this time around. 1st diff is on Linus eyes: 1 has white spot while no spot in d 1st pix. 2nd diff is his polo top: there’s no logo in the 1st pix while there is in the 2nd pix. 3rd diff, there is a bag in his front in the 1st pix, while there is non in the 2nd pix. 4th diff is your wearing a white pearl earrings in one and black in the 2nd pix. 5. the button on your husband’s shirt. the ‘C’ marked on the top right corner. 1st diff is on Linus eyes, there’s no white spot in his eyes in the 1st pix but there is in the 2nd pix. 2nd diff is his polo top, no logo in the 1st pix but there is in the 2nd pix. 3rd diff, there is a bag infront of your husband but non in the 2nd pix. 4th diff, you wearing a white pearl earrings in the 1st pix and black in the 2nd pix. 5th diff is on your dress, there’s no logo in the 1st pix but there is a gold color logo on your dress in the 2nd pix. 1.Your ear ring are not the same. 2. The pin up on ur right breast side. 3. The guy beside u there is a different botton on his shirt. 4. On his right side table the content on the table one is blank n d other seen. 5. The content on your back one has a star shining the other has not. (1) Gold stud on your left ear / Black bold earring on your right ear. (3) No tag like badge on the left picture, on your shirt / A tag like badge on the right side of your shirt. (4) NO extra gold looking button on your husbands shirt on the left picture / An extra gold looking button on your husbands shirt on the right picture. 1. Stephanie you have a badge on in one of the pictures. 2.There is a button on the guy’s shirt that is sitting beside you. 3. You have different colours of earrings on in both pictures (black and gold). 4. there is something like a bag handle in front of the guy sitting beside you. 5. There is a line between you and the guy beside you. I hope I win that bag is really cute. On your right; an obvious yellow stuff on your top, a black earing, a white stuff on your hubby’s shirt and a cursor like stuff at the right top extreme of the right picture. While on your left; a handle looking like a handle from a bag. I guess that’s all the difference I see. Can’t wait. Steph your ear ring to the left is a gold coloured ear ring, while to the right its black. To the left your husband has a plain black shirt on, while to the right there white botton on your husbands shirt. To the left your dress has no badge on it, to the right it has a gold badge on it. The left table has a black hand bag on it wit a transparent handle.there is a oo or cc sign on both dresses, but the left is right is more pronounced than that on the left. Since you asked for five I’m guessing the “‘c’ in circle” symbol above the right photo isn’t valid. Thank you for always having something interesting and rewarding for your fans! LEFT pics- u were wearing a gold earring, the tag on ur dress is missing, the handsome beside u the white button on his dress is not there, there an hand bag in front of him with d hand shining, there is no (c) on this pics ( which makes it the original pics. 1. THE COPYRIGHT(c) SIGN: Picture 2 has a copyright(c) sign at the top left corner which is missing in pic 1. 2. THE EARRINGS: You’re wearing a gold studded earing in picture 1 while you have a black one in pic 2. 3. THE BADGE: You have a ribbon like badge attached to your dress in picture 2 which is missing in pic 1. 4. THE BOTTON: Your husband has a white botton at the right side of his shirt in picture 2 which is not in pic 1. 5. THE HANDBAG HANDLE: In picture 1, there’s a handbag handle showing on the table right in front of your husband which is also missing in pic 2. Hope I get to win this one. I’ve been here since d debut of dis blog n apart from your motivational words, I’ve got no gift from you as a huge fan. Last giveaway, last hope, win or loose, thanks still. Am Chinwe Peace, chnwe_9@yahoo.com, 07038162629, from awka. 1. The black purse infront of mr linus on the table is not showing in the other picture. 2. You’re wearing a studded gold ear-ring in one and a blue with a touch of black in the other picture. 4. There’s a button missing on mr linus shirt but complete in the other picture. 5. There’s a black coloured thing maybe an ipad or so in front of mr linus covering part of his hand in one of the picture. Nzeduru Christabel, Asaba, nkiru4bliz@yahoo.com. 07037002855. I love dis bag, (1) THE EARRINGS: in pics 1, d earrings ur wearind is a white /cream studed earrings, but in pics 2 u re wearing a blue earrings. (2) in pics 1, on ur hubby’s shirt is only 1white botton, but in pics 2 its 2 white top bottons on his shirt. (3) in pics 1, the handbag is seen wit a circle in form of a ring like big circle hand, but in pics 2 no handbag. (4) Ceremonial Barge: on the right there is a ceremonial barge, but in pics2 there is non. (5) Copyright sign (C): on the right corner there is a copyright (C) sign at d top left corner and at the left there is non. Thanks. Hope to be d winner. 1. I̶̲̥̅̊n̶̲̥̅̊ the first picture u have on a black stud earring while d second picture Ɣ☺Ʊ have on a gold stud. 2. One of d white button on husband shirt is missing.3.there is a golden badge on U̶̲̥̅̊r top A̶̲̥̅̊₪d̶̲̥̅̊ there is none on the second picture.4. There is a black bag handle I̶̲̥̅̊n̶̲̥̅̊ one picture while I̶̲̥̅̊n̶̲̥̅̊ the second picture it is missing.5. There is a (c) I̶̲̥̅̊n̶̲̥̅̊ one of the picture but missing I̶̲̥̅̊n̶̲̥̅̊ the second picture. Thanks Vivian. BAG: there’s a bag on the first pix and its absent in the second pix. BUTTON/SPOT: there’s a button/ spot on the second pix which is not on the first. EARRING: you are wearing a small peice stud on the picture on the left while on the right you are wearing a black bold earring. PIN-UP: you have a gold pin-up on right pix of your top which is missing on the left pix. BLACK SPOT: there is a black spot on the picture on the right which is missing on the picture on the left. 2. Your black earring in d picture on d right. 5.Handle of handbag showing on your husbands right side. 4)the badge on her cloth.it is also missing in the other pix…5)a shining star jus behind her ear. 1. The yellow broche on the shirt in picture 2 which is absent on the shirt in picture 1. 2. Navy blue earing in picture 2 while picture 1 has a gold coloured earing. 3. A bag in front of the man in picture 1 which is absent in picture 2. 4. the second botton on the man’s shirt in picture 2 is white while the second botton in picture 1 is black. 5. the trademark (c) on upper right side of picture 2, is absent in picture 1. This clutch is beautiful and pray it becomes mine. 1: The photo on the left hasn’t got the goldish tag on your dress in the left photo. 2: The earring you got on in the left pic is different to the one (black earring) you got on in the right picture. 3: The second button on the Gentleman’s shirt is missing in the left photo. 4: The bag handle is missing in the right photo. 5: The ‘Credit Logo’ (the c in circle) is missing on the left photo. God let this bag be mine in Jesus Name. AMEN! Sorry made a mistake with my number 1. 1: The goldish tag on the right photo instead. 2. When you check on the left picture , Mr Idahosa has one button on his shirt but two buttons on the right picture. 5. finally , when u check on the right picture there is a round spot in white or should i say gray at the far end of the picture but you can’t see that on the left picture. I really i win this time so that i can rock this bag well well !! 1. The pin-up: You have a pin-up on your dress in the right picture and none on the left. 2. The copyright (c) sign; There is a copyright sign on the top-right corner of the right picture and none on the left. 3. The earring; You are wearing a black earring in the right picture and a gold one in the left. 4. The button; there’s a white button on your husband’s shirt in the right picture and black ones most likely in the left. 5. The bag; There’s no black bag in the right picture but there’s is one in the left picture. Mrs. Stephanie Linus, this bag is a beauty. The combination of fiery red and lime green is wow! I have participated in the first four giveaways. I have hoped and prayed for each one of the first four. This is the last. I want to wake up tomorrow, see my name as the winner, jump on my bed and scream my head off. Mrs. Stephanie, do make my dreams come true…..thanks. Emoshioke Abubakar. angelmosaic@yahoo.com. 08066291266. Edo State. Aunty Steph, thanks for this golden opportunity once again, I hope to rock this bag. A. There is a botton on your husband lovely shirt on the right photo. B. A black beautiful round ear ring you put on the left photo. 1.Your Earrings: In picture 1, you are wearing a golden earring, while in picture 2, you are wearing a black studded earring. 2. The Bag: there’s a bag on the table in picture 1, but the bag is absent in picture 2. 3. Ceremony Badge/Lapel: you have a ceremony badge on your shirt in picture 2, which is absent in picture 1. 4. A White Button: there’s a white button on your hubby’s shirt in picture which is absent in picture 1. 5. A small registered (c) sign is at right hand top of picture 2 but absent in picture 1. 1: THE EARRING: In picture 1 u are wearing a white studded earring while in picture 2 u are wearing a black earring. 2:HANDBAG: in picture 1 there is a handbag there, while in picture 2 it is missing. 3.BUTTON: In picture 1 there is one white top button on ur hubby’s shirt and in picture 2, there are no white buttons on his shirt. 4. The copyright sign: There is a small (c) at the top of second picture which is not there in the first. 5. BOW: There is a bow on the top u are wearing in picture 2 which is not there in picture 1. 5)D white chair wit pink rap has a sparkle on d cell phone of d copy picture. Forgot to add Ada Mbadugha. Phone No. 08036076734. Email- badbishopng@yahoo.com. Location: Aba, Abia State. Thanks. 1: Ear ring: In pic 1 u r wearing a white earring while in pic 2 u r wearing a black earring. 2:Handbag: in pic 1 there is a handbag there, while in pic 2 it is missing. 3.Button: In pic 1 there is 1 white button on ur hubby’s shirt and in pic 2, there are no white buttons on his shirt. 4. Copyright sign: There is a small (c) at d top of second pic which isn’t there in d 1st. 5. Bow: There’s a bow on d top u r wearing in picture 2 which isn’t in pic 1. Ada Mbadugha. badbishopng@yahoo.com. 08036076734. Aba, Abia State. Hi steph,goodevening, am not happy because U̶̲̥̅ denied me ✆f the red Maknisy bag,U̶̲̥̅̊ also make to lose such unforgettable gift from U̶̲̥̅̊, am nt happy,dats y am going on d last chance,i must be among the first five to win this ever remindable gift,from U̶̲̥̅̊, the answers ɑ̣̣̝̇̇я̩̥̊ǝ̩̩̩̥, (1) Batch,the golden batch on the left side ✆f U̶̲̥̅̊я dress on the second picture Ȋ̝̊̅ڪ _not there on the first pics,(2)the button, The white button on U̶̲̥̅̊я husband’s shirt on the second picture Ȋ̝̊̅ڪ not on the first pics,(3) the earring U̶̲̥̅̊ used Ȋ̝̊̅ڪ black,on the second picture but white in first pics(4)copyright,there Ȋ̝̊̅ڪ A̶̲̥̅̊ c at the top right side ✆f second pics, but Ȋ̝̊̅ڪ not there on the first one,(5)the bag, A̶̲̥̅̊ black bag kept in front ✆f U̲̅r husband on the first pics, Ȋ̝̊̅ڪ not dere on the second pics,now i hope and belive that this time i must b among the five lucky girls, who shal recived this beautiful maknisy bag,pls don’t disappoint me dis time,cos, i av waited patiently ƒōя̲̅ it,now it’s ƒōя̲̅ me to get it ƒōя̲̅ remembrance,thanks 08064470136. Glory Akpan. Akpanndifrekeokon@yahoo.com. Akwaibom state uyo. 1. THE COPYRIGHT (c) SIGN: Picture 2 has a copyright (c) sign at the top right corner which is missing in pic 1. 4. THE BOTTON: Your husband has a white botton at the right side of his shirt in picture 2 which is not seen in pic 1. 5. THE HANDBAG HANDLE: In picture 1, there’s a handbag handle showing on the table right in front of your husband which is missing in pic 2. Hope I get to win this one. I’ve been here since d debut of dis blog n apart from your motivational words, I’ve got no gift from you as a huge fan. Last giveaway, last hope, win or loose, I’ll always love n respect who u are. Thanks still. Am Chinwe Peace, chnwe_9@yahoo.com, 07038162629, from awka. Picture 1: there iz no copryright sign. Picture 2: there iz A copyright sign at the top right corner. Picture 1: there iz A handbag ontop ✆f the table with A handle. Picture 2: there iz A bag ontop ✆f d table with no visible handle. Picture 1: Has only only one greylike visible botton on the mans shirt sitting next to you. Picture 2: has two visible bottons, d first botton iz greylike in colour, while d 2nd botton iz plain white on the mans shirt sitting next to you. Picture 1: you ar wearin A gold color earring. Picture 2: you ar wearin A black color earring. Hope to stand A̶̲̥̅̊ winner ✆f such buitiful handbag and d very first winner from Akwa Ibom State…gonna rock it xoxo! (1) in the first picture there is no second button on your hubby’s shirt but in the second there is a second button on his shirt. (5)in the first picture there is no copyright sign while in the 2nd picture, there is a copyright sign at corner (c). Hallo steph, how are you doing? 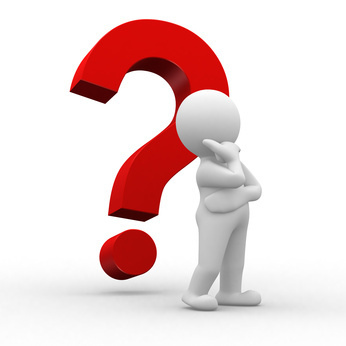 Without wasting time let me go straight to the question of the day. I spotted six differences but since you want us to list five, am gonna do just that. I will start by naming the two pics for clarification. I will name the pic with the copyright logo; copyright pic and the other one control pic. In the copyright pic you were putting on black round pin up earring while the other pic(control pic) you had gold pin up earring. Secondly, there is this pin up rosette on your cloth which is absent in the control pic. Thirdly, the copyright photo shows that your husband had two buttons on his shirt while the control pic says otherwise with only one button. Fourtly, the control pic showed a black handbag with some part of your husbands hand showing but the copyright pics didn’t show it. And finally, there is a little shinning star on top of what looks like a phone on the table close to your smile in the copyright photo which is absent in the control pic. Thanks for your time, seriously crossing my fingers for this last opportunity. Your greatest fan Pamela Ezinne Ezebunachi. 07086349967. Isolo Lagos. Let me 1st say u look beautiful beside your oga @the top. 1.Left picture-you have on a gold stud, Right picture- you have on a black button earring. 1. in the second picture your earrings are different. 2.a badge on your dress in the second picture. 3. the colour of the buttons on your date’s shirts are different in both pictures. 4. the black handbag on the table is covered in the second picture. 5. there’s a copyright sign on the second picture which isnt there on the first. Steph baby ,u look sweet.my response is. (1) first picture there is no second button on your hubby’s shirt but in the second there is a second button on his shirt. 1) The white button on your hubby shirt while it’s missing on the other shirt. 3) The transparent handle of your handbag is missing on the other table. 4) The star shining just behind you is absent on the other picture. 5) You are wearing a small black earring in the second picture, while the first picture you are wearing a much smaller gold stud. In all you look so beautiful that the glow that radiates could blind one :). p.s your hubby looks equally handsome too. Please I want to beg you with the mercies of God.I love this bag just as much as I loved the orange one that you gave away which I didn’t win.I even did buy an orange shoe to rock it with thinking I will win. Here are my answers for this one which I am seriously praying that I win. 5.A copyright sign on the top left edge of the picture. Please I really want to rock this bag as a loyal fan. 5=At Stephanie back,a table has a sparkle bag in pics A,while in pics A it not sparkling. Beautiful day to u SL, the purse is more than beautiful, its soooo lovely…#Day dreaming mood activated#. I pray I get this one, cause I was soo laughed @ whn I lost the day1(purple bag) and day2(orange bag), after bragging to my bro that am gonna launch my new bag in church that sunday…but its all good sweety, coz am over it Ơ̴̴͡.̮Ơ̴̴̴͡…….Wow, SPOT THE DIFFERENCE—– I will like to name the pics with the copyright logo-the copyright, while the one on the right with no logo-the other pics.